Here’s an Apple-related acquisition that if you blinked you may have missed. Earlier today, French chip maker and NFC expert Inside Secure announced that it had entered an agreement to purchase Embedded Security Solutions (ESS) — an encryption-related hardware and software company that specialises in mobile and networking products — in a deal worth $48 million. You might be wondering what this has to do with Apple. Inside Secure won’t tell you, but the owner of Embedded Security Solutions is Authentec Inc., which is owned by Apple following the completion of its $356 million purchase announced back in July and was completed on October 4. Inside Secure says the deal is a “strategic acquisition” and will enable the company to “reinforce its position as a key player in the fast-growing security solutions market” by integrating ESS’ DRM and VPN architectures, bolstering its team (with 79 employees located in Europe, Asia and the US) and its patent portfolio, which in turn enables Inside Secure to generate IP licensing revenues. The division has supplied solutions for Alcatel-Lucent, Cisco, Fujitsu, HBO, HP, Lenovo, LG, Motorola, Nokia, Orange, Samsung, Sky, and Texas Instruments. According to the company’s press release, Inside Secure will pay $38 million in cash when the deal closes, with up to $10 million following once “certain post-closing transactions” have been completed. It’s consolidation in the chip-making and NFC space, but it has added implications when Apple is involved. Authentec has four separate divisions that are tightly connected, one of them being Embedded Security Solutions (which focuses on DRM solutions, VPN client solutions, security toolkits, semiconductor IP and security processors), as well as its Government & Access Control, Smart Sensor and Software and eCommerce divisions. When asked whether Embedded Security Solutions was the same division listed on Authentec’s website, a spokesperson told The Next Web: “Unfortunately, we cannot comment on the identity of the seller.” However, sources have since confirmed it is the very same division, and when researching the acquisition, NFC World also confirms that Authentec is involved. As it stands, Apple still controls those divisions, and is poised to leverage Authentec’s expertise to develop NFC technologies that could be integrated into its iPhone, iPad and other iOS devices. In August, Authentec explained how the Apple acquisition came to pass in an SEC filing, sharing details that documented how the company approached “several leading consumer electronics companies,” sounding out whether they would be interested in utilising a new technology it had developed. 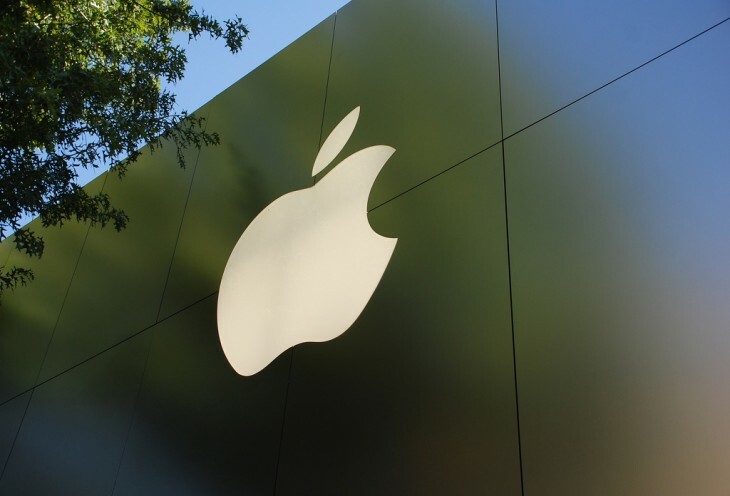 The sale of Authentec’s security solutions business reinforces reports that Apple is leaning on Authentec’s sensor and NFC chip making divisions, which are set to be integrated in its products. When we can expect to see such technologies is a difficult question to answer. Earlier this year, Apple Senior VP Phil Schiller said that Passbook “[already] does the kinds of things customers need today,” when asked about the lack of NFC support in the iPhone 5.